If you have never heard of Jewelry in Candles, let me fill you in. 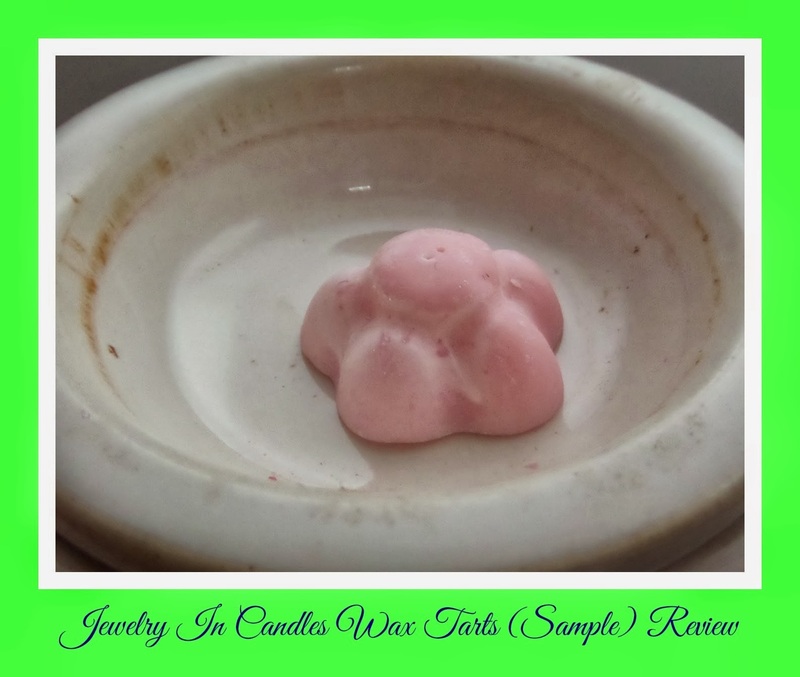 Jewelry in Candles are soy wax candles/tarts that contain a beautiful pice of jewelry hidden somewhere inside. The best example I could think of was, think of a the cereal boxes growing up that contained prizes. Only, now, your prize could be worth anywhere from $10 to several thousand dollars, and you can’t open the candle from the bottom to get to the prize faster. 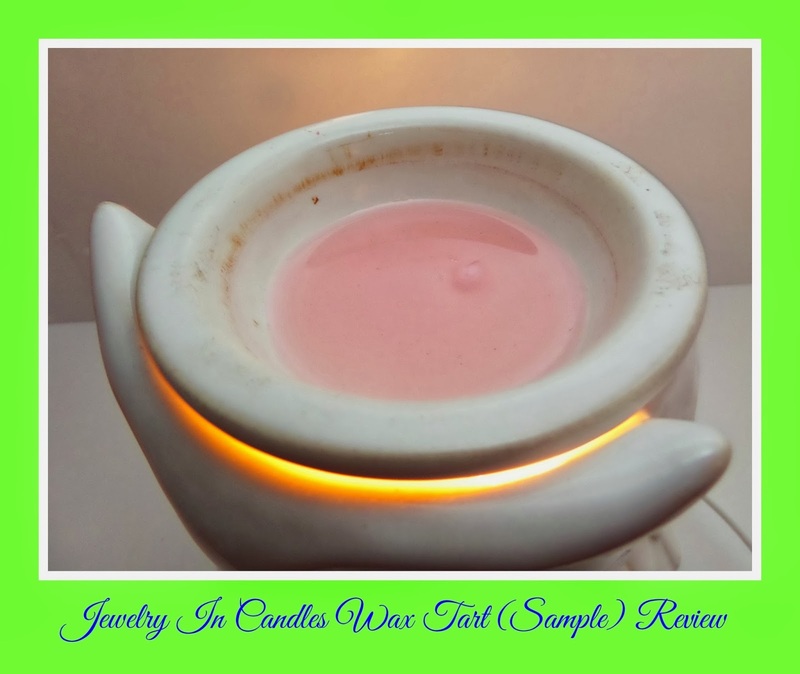 I recently received a wax tart sample from Jewelry in Candles to review. 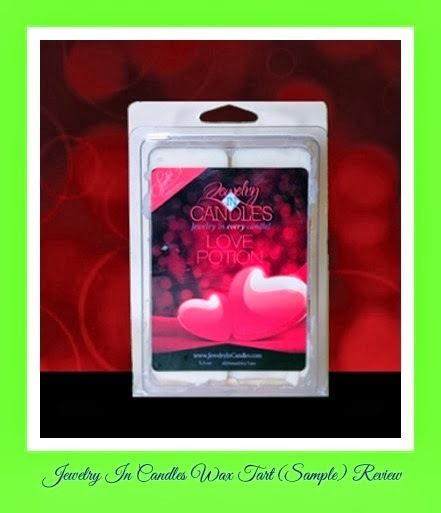 While the “Love” scented tart smelled wonderful in the bag, once I heated it up, I could not smell anything. On the bag that the tart had been pre-melted to be made into a sample, and will not smell as strong as the real tart will. 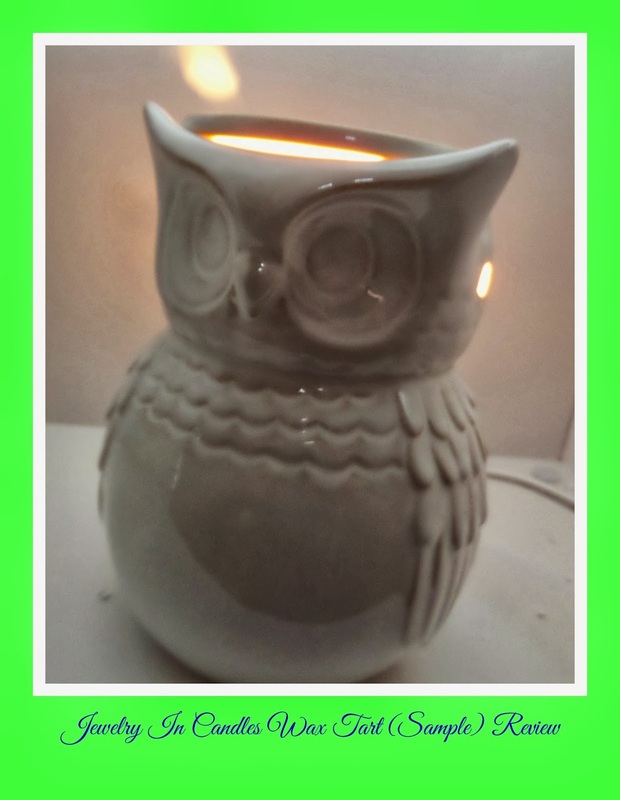 So since I received a sample, I can tell you that it melted well in my cute little owl tart warmer. A girl I follow on Facebook tried some of their tarts this past week and found a beautiful ring. She has decided to become a rep with their company, so she must love the quality of Jewelry in Candles products. 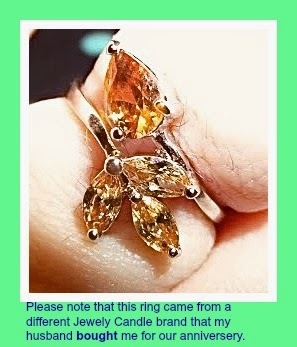 Since I have not seen what the jewelry found in Jewelry in Candles looks like, I can not tell you the quality of them, but below is a ring I found in a candle my husband got me for our anniversary. Even though it was a different brand, I am sure the quality would be about the same. Please excuse my typo in the caption above. I apologize for this review. I wish I could have made it better for my readers, but sometimes that’s just the way the cookie crumbles.